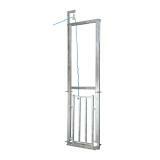 Attaches to chute panels and sort gates. 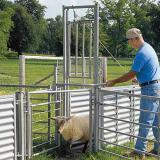 Lift rope allows gate to be raised or lowered from a remote position…enabling shepherds to start and stop the "flow" of animals from the rear of the chute without an extra person at the front. Most efficient when used with our Rope Tensioner (sold separately). 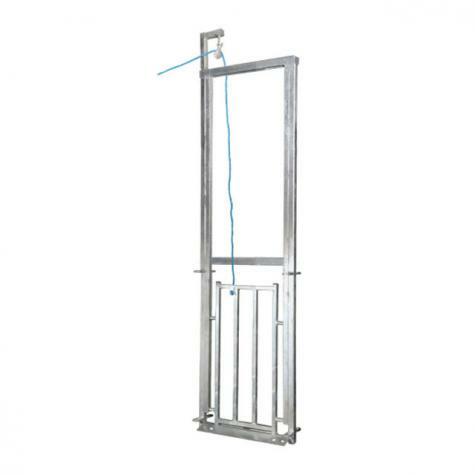 By placing this gate at the front of the treatment/sort chute, a shepherd can treat animals inside it from front to back…and then pull the rope to empty the treatment chute from the rear. 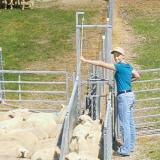 With only an extra step (particularly if you have a crook in your hand), animals in the rear forcing pen can be "pressured" to refill the chute on their own. Easy to use and install. Should not rust. Maintains tension for guillotine gates in handling systems. Runs the length of the chute. Well built, sturdy, everything we hoped it would be!